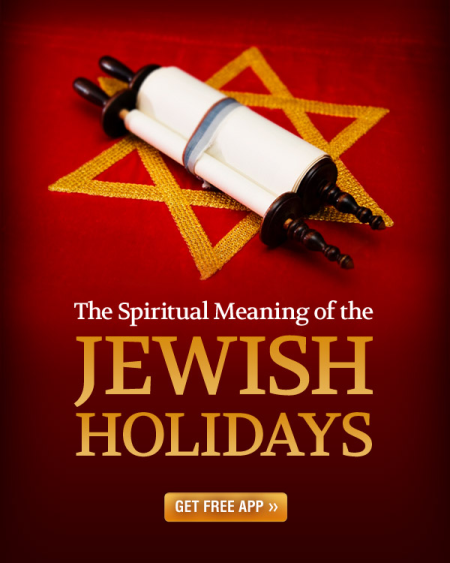 The Spiritual Meaning of the Jewish Holidays is an app providing information about the spiritual meaning and today’s relevance of the Jewish holidays. It includes episodes from the online video talk show Jtimes with Kabbalist Dr. Michael Laitman giving insights into topics of prime relevance today, with emphasis on the Jewish people, as well as the spiritual meaning and today’s relevance of the Jewish holidays. It also contains articles on the spiritual meaning of Jewish holidays and the latest blog posts related to the Jewish holidays by Dr. Laitman.